I an not a vegetarian, I like meat less than I used to. 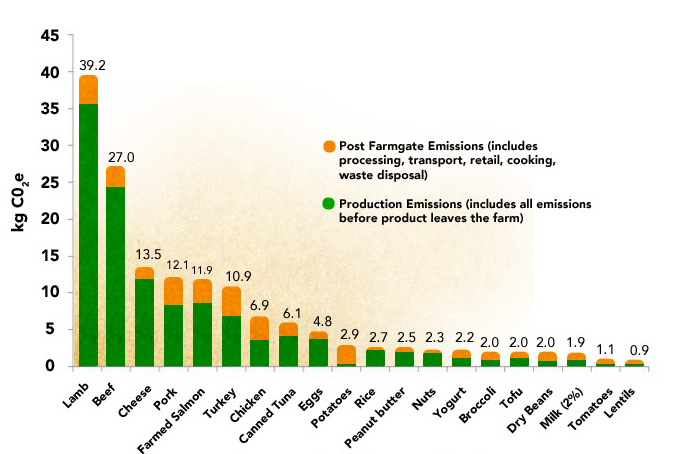 It is become ever more apparent that rearing of livestock for meat (and milk) is damaging to the environment. . . . . .
Below is an example of how, eating meat can have more of an impact on the environment. Water is used in the production of food, and is just one example how meat is very a very resource hungry thing to produce. How much water in a product? In short if I have bowl of rice for lunch I will use at most 1000 litres of virtual water. If I had a beef steak I would be using 5000 litres of virtual water. Five times the amount. Why? Its all to do with the food chain. As shown below. So it take a thousand litres of water to grow 1 kilogram of rice, and you might feed 7000 kg (seven tonnes) of rice to a cow over a three year period until it is big enough to eat. So for one cow the total water might be 7000,000 litres in its life time. One kilo of cow (one whole cow might weigh 500kg), you are looking at 14,000 kg of water per kilo of beef. Well in some places it isn't a problem, if we imagine Wales there is no shortage of water there, and way more falls out of the sky than can be used. But now imagine the Southeast of England, with its regular water shortages, all of a sudden 7000 m cubed of water seems like a lot of water. Its not just water, it's energy to, most energy comes from fossil fuels, result . . meat has a large carbon footprint. Milk has a high environmental impact as well as meat, and that means cheese and yoghurt do as well. Below are some facts about milk production and its environmental impact. 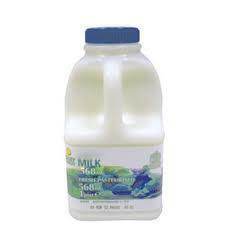 On the up side 35% of plastic milk containers are now recycled into new bottles. The Info on milk was gleaned from "What's the environmental impact of milk? " an article written for The Guardian News Paper. 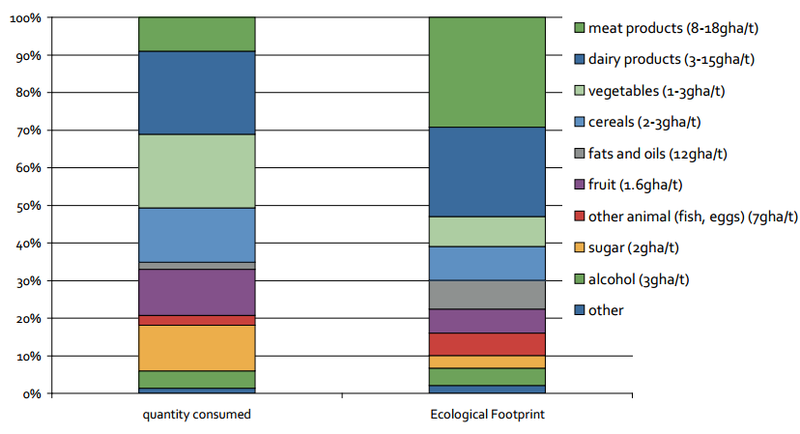 The above graph shows that despite making up a small portion of the UK diet meat has a large environmental impact.